Someone chooses a word that they think no one else will know the meaning of and round the table we go… you hear the funniest stuff! Well we think its terribly funny!!! 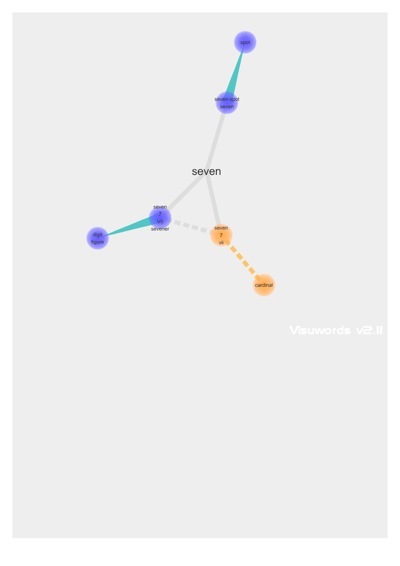 Game 4: This is a brilliant spot for heaps of On-line Word Games… ranging from really simple to truly brainiac. 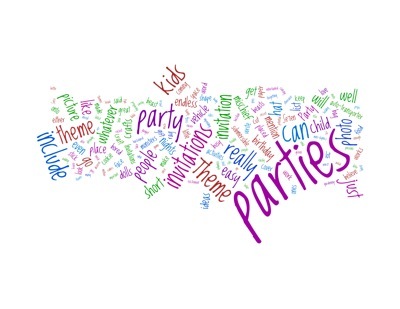 Otherwise great on-line word games for kids can be found at FunBrain and Black Dog 4 Kids. 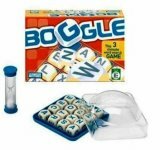 Game 5: Boggle: If you can read, even slightly, you can play this game… we usually play collaboratively rather than competitively, trying to build up as many words as we can… Of course, the better you can read the better you can play and this spurs those with a competative spirit on to higher plains!!! Game 6: Pass the Bomb: Here you have to form a word, from the letters given, before the bomb goes off and pass the bomb on as quick as you can. My three readers love the urgency, though Hood #3 (age 7) still needs a lot of help. Game 7: Scrabble: The time honored one, even if they can’t all play the game the littlest readers love making spelling mazes with those little block letters. Hood #1 (age 10) loves playing this, in the hopes that he will vanquish his Grandfather one day. Prev Party Tips: Se7en Themes and Invitations. You guys are the best! I wish I could have fun with all these games.